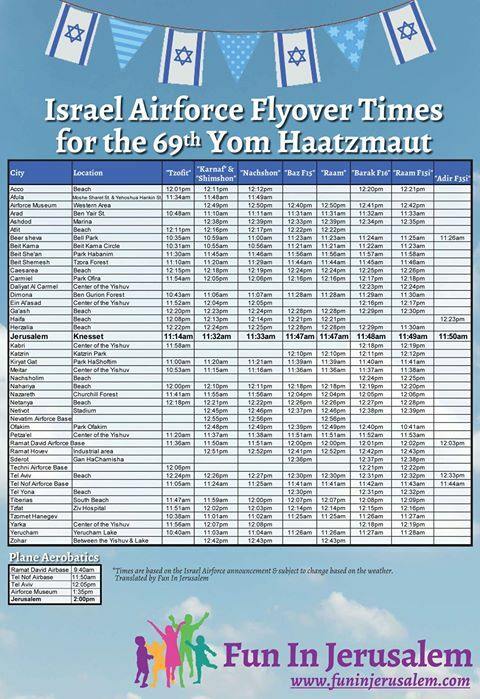 Yom Ha’atzmaut / Israel Independence Day 2017 – IAF Fly Over Times, Free Events, Ceremonies, Parties & Tefilot. This listing should help you have a great time. 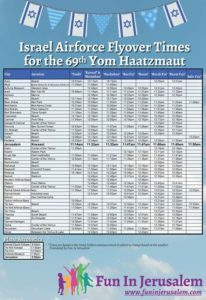 IAF fly over times: Look at flyer. 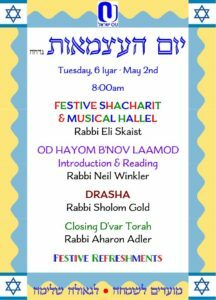 NBN Davening, Tuesday morning – Click on here. 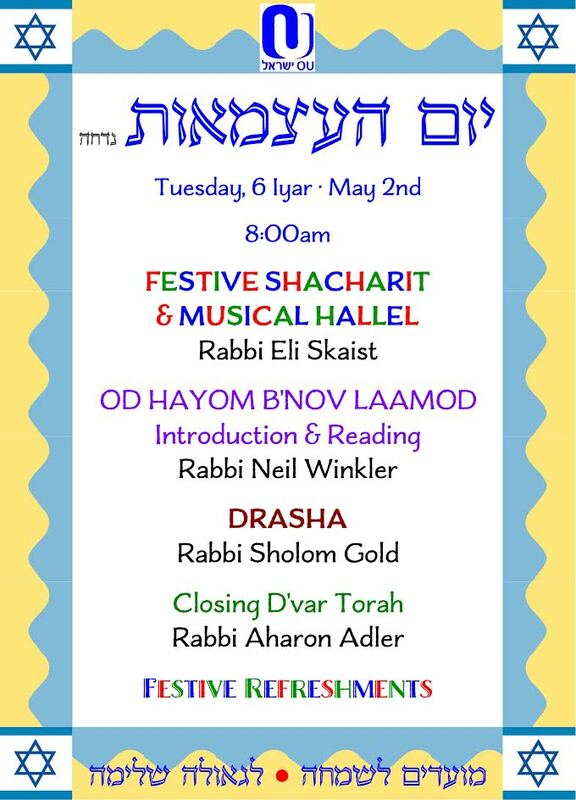 OU Israel Center – Look at flyer. 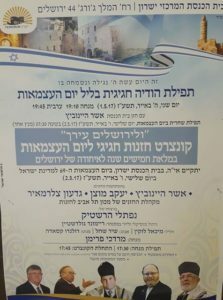 Open army bases and free events throughout Israel – Click on here. Family Activities – Click on here. Free Events – Click on here. Full listing of what’s on throughout Israel from Anglo-List – Click on here. 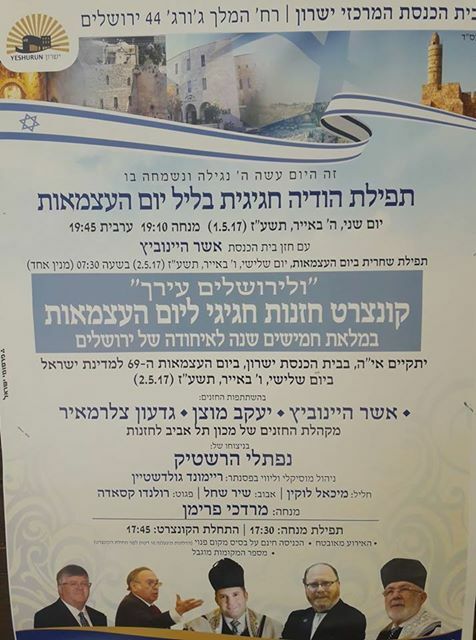 Parties – Join the IsraelB Zivug Zone FB Group for all parties on.